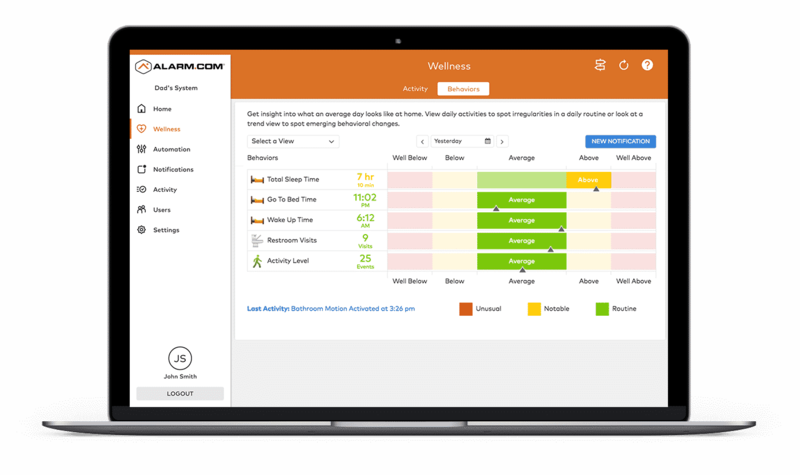 Using discreet wireless sensors throughout the client’s living area, Acadian’s wellness services track activity and wellness indicators, giving caregivers real-time insight into each client’s current conditions, as well as potential emergent problems. Not a Homecare or Senior Living Provider? Acadian’s wellness services give you 24/7 insights and keep you connected to your client’s conditions through automated phone calls, text messages, emails and secure web portal access. With better awareness of your client’s around-the-clock activity, you can immediately identify and respond to needs. Acadian’s wellness services can even assist in detecting nighttime falls, when clients often do not wear alert buttons. Customized trend analysis and early detection of changes in Activities of Daily Living (ADLs) give providers evidence-based data to support changes in levels of care, while enabling individualized support across the care continuum. Acadian’s wellness services even help achieve staffing efficiencies and maintain operational costs, thanks to improved population management.